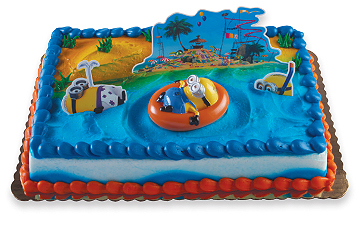 ALL YOUR CELEBRATION NEEDS COVERED. 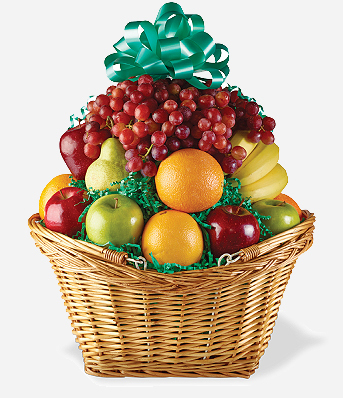 Mrs. B’s Catering can provide balloons (via Bottino’s ShopRites), fruit baskets, cakes, and food. Further, we offer all types of foods that children cannot resist, even picky eaters. 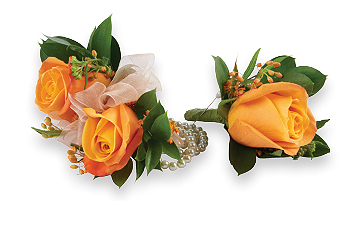 To ensure you achieve the look and style you want for your special occasion, speak with one of our talented ShopRite florists. Below are some questions to help start the conversation. 1. What flowers are in season for the month of my event? 2. What ideas can you give me within my budget? 3. Would a monochromatic arrangement work for my event? 4. 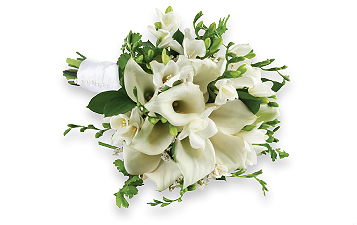 What would you consider suitable substitutions for the flowers we have discussed if these are unavailable? From romantic, cascading bouquets to simple hand-tied arrangements to sensational centerpieces, our floral designers will create the perfect, magical look for your special day. * Retails based on current market pricing. See store for details. Balloons make any occasion extra-special and are sure to make kids of all ages smile! Create your own balloon bouquet or select a single message balloon. We offer a wide range of specialty balloons—sports-related, congratulations, get well, anniversary and baby, to name a few. Speak with our floral manager about the wide range of balloons available at ShopRite. Balloons make a great “thinking-of-you” surprise. 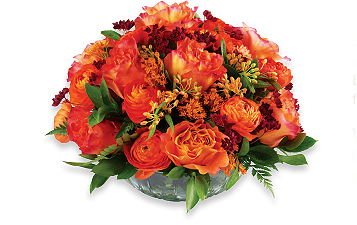 Our florists will help you find the perfect color combination to complement any event. No age restrictions apply here. Assortment of Mylar and latex balloons— great for any occasion. 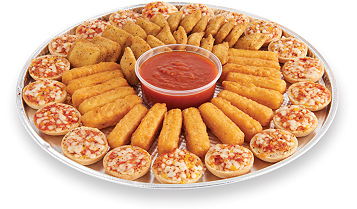 Mozzarella sticks, fried cheese ravioli, and mini pizza bagels. Served with marinara sauce. Choose from tortillas filled with ham and American cheese or turkey and American cheese, or pizza roll-ups. One variety per platter. Made with all-natural ingredients—the ultimate kids’ favorite. Lightly breaded plain 100% white meat tenders. Served with honey Dijon dressing. White and wheat bread, crusts removed. Kayaks filled with peanut butter and fresh sliced strawberries, ShopRite® Hazelnut Spread and bananas. Triangles made with sliced oven-roasted turkey and American cheese, and ham and American cheese. A fun rainbow of strawberries, grapes, pineapple, orange smiles, blueberries and shredded coconut clouds. Freshly baked sugar cookies topped with rainbow sprinkles. 72 cookies per platter. Assorted freshly baked brownies, topped with double Dutch icing. 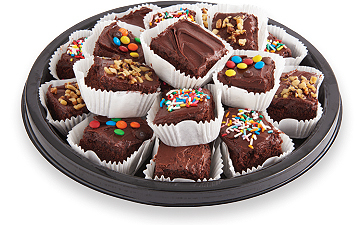 Platter includes plain, walnuts (optional), M&M’s® and rainbow sprinkles. Mini bites of pineapple, cantaloupe and grapes, served on a 4-inch skewer with Marzetti® Chocolate Dip. Includes 7 oranges, 6 Red Delicious apples, 6 Golden Delicious apples, 6 pears, 6 bananas and 2 pounds of grapes. Includes 4 oranges, 4 Red Delicious apples, 3 Golden Delicious apples, 6 pears, 6 bananas, 2 grapefruits and 3 pounds of grapes. Includes 8 Red Delicious apples, 6 Golden Delicious apples, 6 oranges, 6 bananas, 5 grapefruits, 4 pounds of grapes, 2 pears. Our produce managers are happy to handcraft a basket for you with our finest seasonal produce. Individual cupcakes in the form of a sheet cake, character or number. Made for any special occasion. No cutting required! See store for details. Designed to suit your special event, themed occasion, style and unique taste. ¹⁄8 sheet serves 8–12; ¼ sheet serves 15–20; ½ sheet serves 25–35; full sheet serves 40–70. Prices vary based on size, variety and filling. 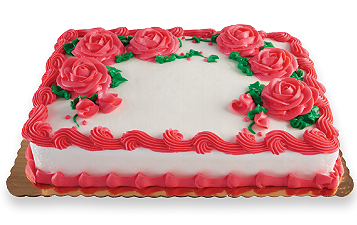 For that special day, say “I do” to one of our beautiful handcrafted, custom wedding cakes. Prices vary according to size, variety and filling. Where available. Some forms are like an exquisite review to read alert, a notification, he said, which creates a different feel to the communication.